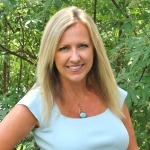 Last week I shared my experience with Pella Windows and how I wanted to get a little “shady” but in a hi-tech stylish way. 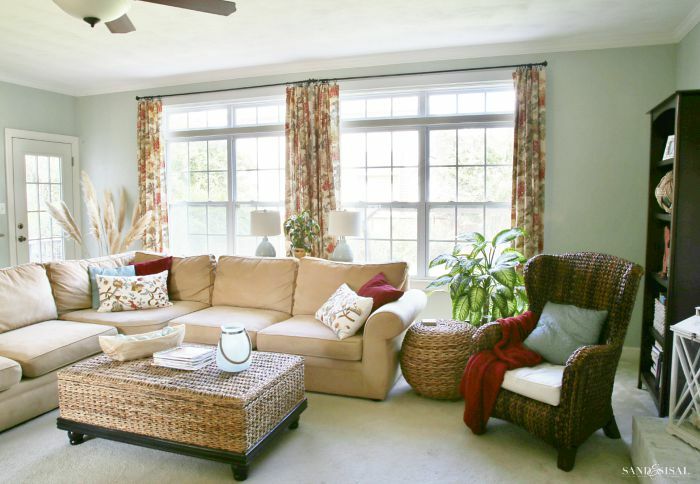 Our family room window treatments with Pella Insynctive™ Technology were installed! 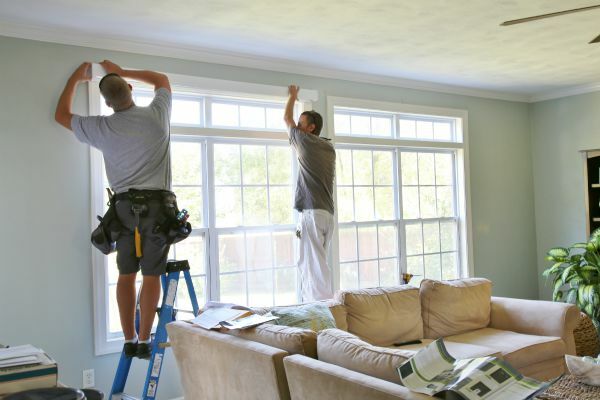 The professional and friendly crew from Pella came in and installed the shades. Can you even see where the shades are stored? They are hidden in plain sight! I had the choice between interior mounting and exterior mounting. 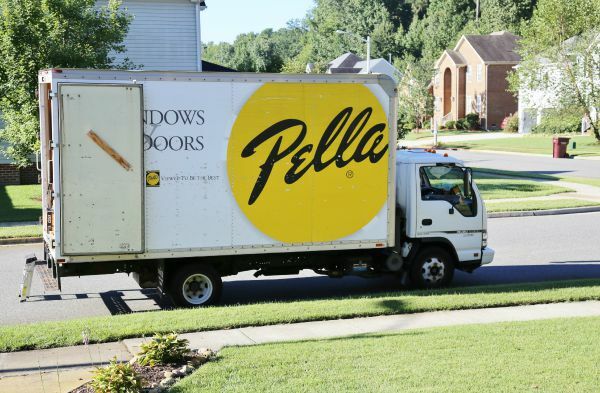 Normally, I would have chosen an interior mounting (inside the window frames), but because of the transom window above each window set, my wise Pella reps recommended an exterior mounting instead. Our goal for the room was to try to eliminate daytime glare on the TV, yet still allowing light to be filtered in. Covering only part of the windows and leaving the transoms uncovered and exposed would defeat that goal. So an exterior mount it shall be! The shades are attached directly to the top window frame and it has a fascia cover that blends seemlessly. All of the fascia covers come in an array of colors to match what ever color molding you have. 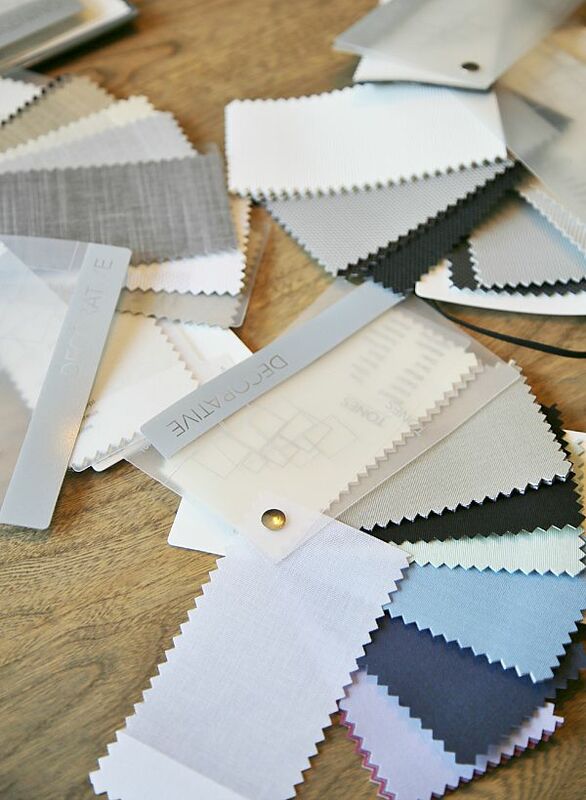 The fabric choices, textures, patterns, and light filtering selections are so vast! I was impressed. I decided to go with something that would be versatile because I’m constantly changing the look of our home. 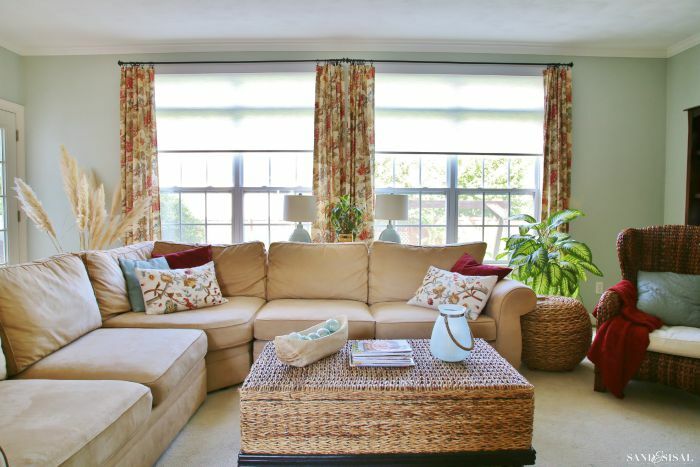 I chose the Decorative Roller Shades in White Linen. The linen shades look like raw silk! They are gorgeous, full of texture and softness! The best part is that they have Pella’s Insynctive™ Technology. Insynctive uses Z-Wave technology or an Ethernet port on the Insynctive Bridge to connect to a compatible home automation system. 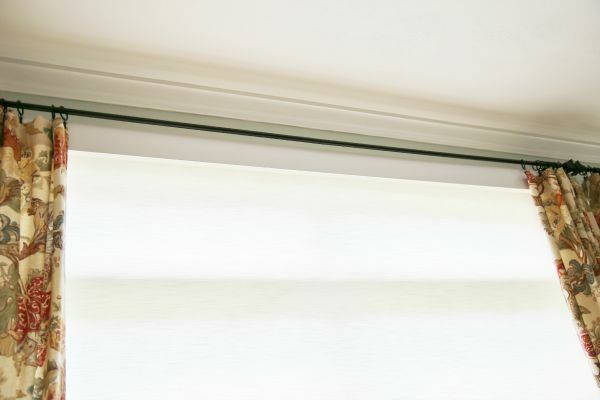 They can be raised and lowered by hand held remote control or if connected to a home automation system then the shades can be controlled via your smart phone, wherever you are. Now that is hi-tech! 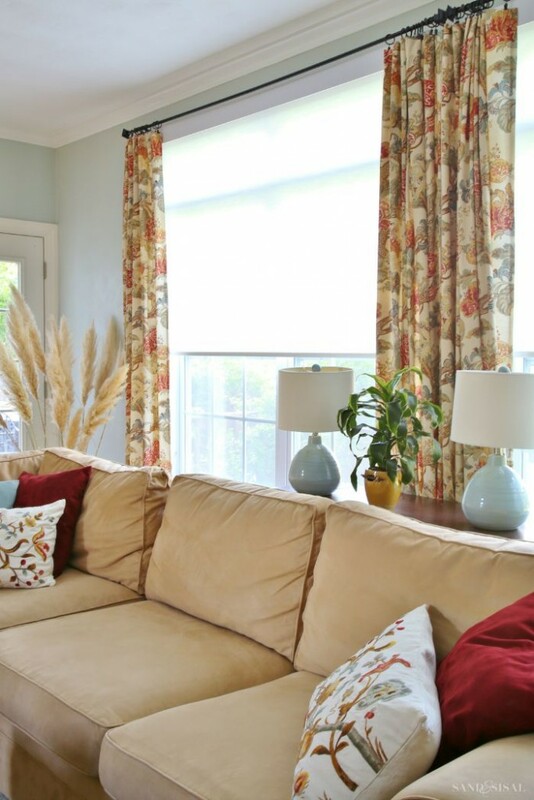 Pella window treatments with Insynctive™ Technology are used in the 2015 Better Homes & Gardens Innovation Home (click the link to see more). We couldn’t be happier with our choice. The shades drastically reduce the glare on the tv and yet allow the room to still be light and bright. They give us privacy and security. Feel free to check out all the different choices of Pella blinds and shades with Insynctive™ Technology for your home. 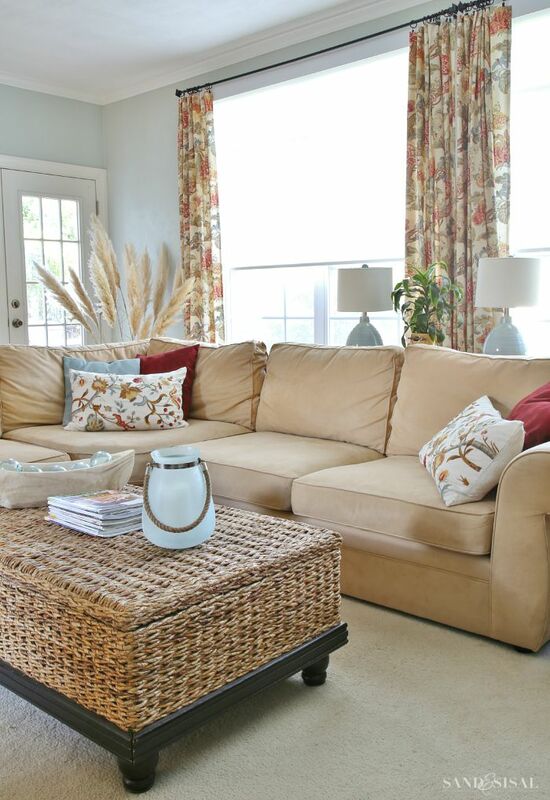 You can also see my new Pella shades and our familyroom featured on Better Homes and Gardens!